My Keto Meals: Breakfast, Lunch, Dinner + Snacks. WITH PICTURES. The low-carb meals I ate last week on my keto diet. What I ate breakfast, lunch, and dinner. Plus, my favorite snack. About a month into the book writing process, I lost all interest in preparing meals for myself that were thoughtful, beautiful, and delicious. I’m sure so many of you feel like this ALL the time – being overwhelmed by life, trying to juggle health, prepare food that tastes good, etc, etc. While healthy habits are fostered in an environment where priorities are shifted, ain’t nobody got time to stand in the kitchen for an hour at a time preparing breakfast, lunch, and dinner. 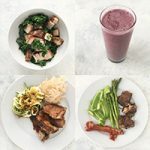 Need recipe inspiration and an overview of what a keto plate looks like? I’ve got you covered! 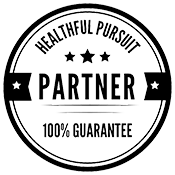 Check out my digital programs, The Keto Beginning and Fat Fueled for recipes, meal plans, and visual break downs of the perfect keto plate! It took me a couple of months to figure out that I didn’t need to live off mayo-topped lunch meat slices or mashed up bowls that looked like roadkill in order to prepare keto meals quickly. And now, I’m getting better and better at using the resources on hand (aka whatever’s in the fridge) to whip up a keto plate of awesome in less time that I ever thought possible! 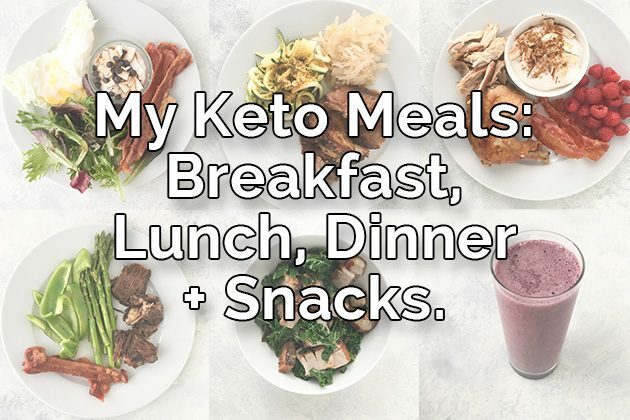 Today, I’m running through 10 of the breakfasts, lunches, and dinners I enjoyed last week to show you just how easy keto meal planning can be. If you’re looking for a bit of inspiration to get the food prep juices flowing, look no further than today’s video! For video transcript PDF, scroll down. 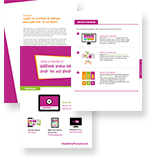 A 5-10 page PDF with the transcript for this video, resources, and exclusive steps to taking your fat burning to the next level. Download to your device and access anytime. My favorite (new!) collagen, Vanilla Collagen Peptides with probiotics! Cooking doesn’t have to be overwhelming! Keep it simple and enjoy — you’ve got this!